Tired of telling everyone you meet how pregnant you are? 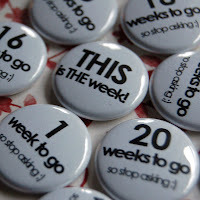 Etsy has a collection of 30 mother-to-be countdown pins, starting with 30 weeks left. Unfortunately, the handmade item has been sold out. The world’s most alienating airport?